"My father owned a fishing and hunting store and started us young. I became a full-time guide in 1996 doing backcountry fly fishing and charter boat skipper. " 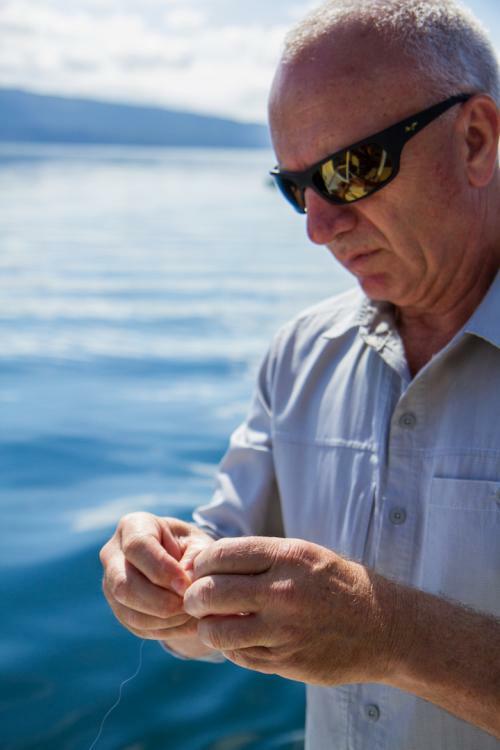 With over 50 years of fishing experience, John Hamill has fished all over New Zealand but Lake Tarawera is one of his favorite spots. He's passionate about spreading the joy of fishing with anglers of any skill level, whether they're pros or total novices. Dry fly on a river always gets me!! Prefered on the boat is fly fishing and our form of jigging.